I think that this is the first official release of this mod on Davoonline, but here it is in all of its usefulness. This mod adds over 200 color coded parts into the creature creator. These parts can get almost infinitely small and up to 40 units large, take up no complexity, all cost 0 DNA, and give no stats. This mod has also been used to create some very amazing creations by Exodrake on DeviantART, and DarkEdgeTV on Youtube. I will experiment a bit with this. That is really awesome! I only really know of three people other than me (including you) that actually make good use of this mod. Also, if you wanted to make the feet more of the right color, you could download my dark genetics mod, which makes a duplicate of all the core spore parts, except that these new ones have better recoloring and aren't tinted tan. I'll be sure to give it a go in a moment, cheers! 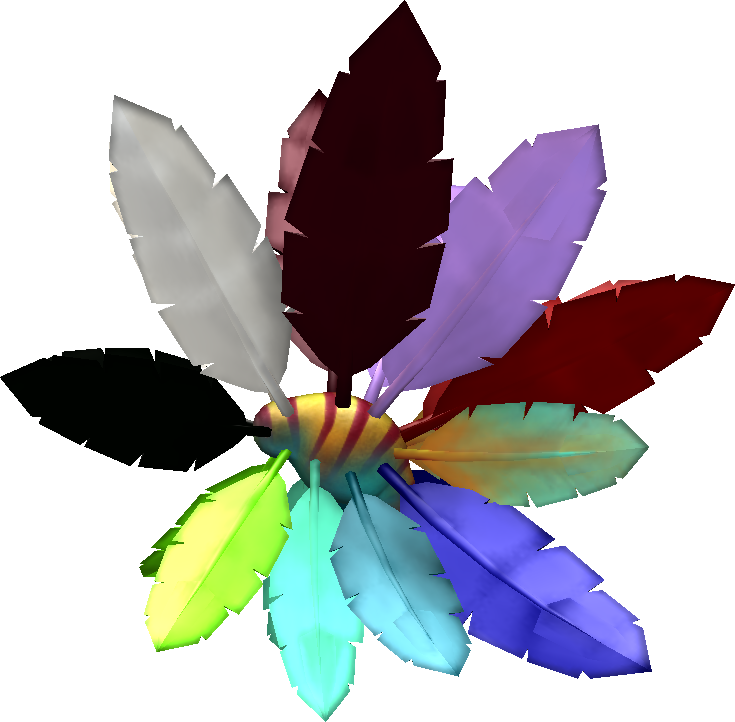 That has been requested many times, but sadly, using the limited tools we have for spore modding, that isn't possible. Hm. The Mod hasn't had any effect on my game, and the only mod i have is dark injection. Any reason or an easy fix? I'd love to use these parts. Dark injection may be overriding the file I used to put in the new categories. Try renaming the mod so it is higher in alphabetical sorting (ie by adding aa00_0_ in front of the file name) than dark injection, because I make all my mods have at least some backwards comparability with my previous mods or other mods I've downloaded. No Change, or at least not that I noticed. Also I now have Better spore installed, and Davo's flight mod. Any other thoughts? Camßεn wrote: Dark injection may be overriding the file I used to put in the new categories. Try renaming the mod so it is higher in alphabetical sorting (ie by adding aa00_0_ in front of the file name) than dark injection, because I make all my mods have at least some backwards comparability with my previous mods or other mods I've downloaded. Normally that works, but I find that DI and DG take absolute priority, forcing me to remove files instead. Speaking of DG my Spore can no longer open the creatureeditor without it. Probably not your fault. My spore install is struggling to load these days. Its falling apart and files are going missing all the time. I am being forced to fill the holes with mods. If you know anything about this (ahem) spore rot, please tell me. That is honestly really strange, but I know where you're coming from. I can't remove camben custom parts v4.1 otherwise all the pages in my editor glitch out and get thrown all over the screen. After re-installing, everything went back to normal again. Spore can get really unstable a lot of the time... 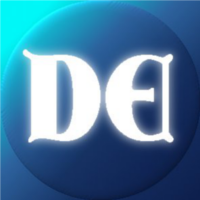 The reason why DG usually has to be in the highest priority is because it overrides every default game creature part with one that has fixed textures, and then it duplicates the parts over again under a different name, and those use the 'default' darkspore textures from arenas_textures. Mods like betterspore and dark injection override the default parts as well I'm pretty sure, so those mods must have lower priority. Personally, I haven't had any problems attempting to put in or remove DG or DI except for locked creations. Camßεn wrote: That is honestly really strange, but I know where you're coming from. I can't remove camben custom parts v4.1 otherwise all the pages in my editor glitch out and get thrown all over the screen. After re-installing, everything went back to normal again. Spore can get really unstable a lot of the time... The reason why DG usually has to be in the highest priority is because it overrides every default game creature part with one that has fixed textures, and then it duplicates the parts over again under a different name, and those use the 'default' darkspore textures from arenas_textures. Mods like betterspore and dark injection override the default parts as well I'm pretty sure, so those mods must have lower priority. Yeah. That palette thing is caused by an incorrectly set up custom palette. Spore rot probably has something to do with the fact that my spore GA disk is crumbling to dust. Miracle its still even readable by the drive. Hi again, just me, popping in to show off. CamBen your mod is without a doubt my second favourite now. If I could consider DI and the Colour Packs as one mod, then that's my favourite. Glad you find the parts so useful! someday I hope to add more variants of colors (such as possibly all the spore coloration palette colors) but currently my project in spore is creating new recoloring mouths for dark genetics. Oooohh that I'm going to have to keep an eye on, both for Dark Genetics and this Colour Pack.